Before you buy from a dealership, you want to know that the company will have a solid technician to work on your copier. Good technicians matter because they will eliminate long downtime periods. The technician who will support your company carries equal importance to the machine that you will be buying. How do you know when a company offers great technicians? First, check to see how long the technicians have been with the company. A dealership that has only new technicians should be an instant red flag. Second, check to see if the company offer specialized technicians. 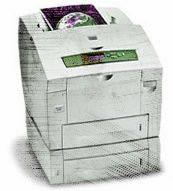 For example, our company sells Xerox copiers, which is why we provide customers with Xerox authorized technicians. Every copier brand will differ in repairs, and you want a knowledgeable technician who can service your copier fast. In addition, a technician who specializes will have the parts available more often than a general technician. Oftentimes, these technicians will have to order the parts, which can take a couple days. Can you afford that length of downtime every time your copier breaks down? Finding a solid technician becomes as essential as receiving a copier that meets your requirements.